Concern over long-term side effects of radiation therapy is becoming more common, as survival rates improve. Just as there can be long-term side effects of chemotherapy, radiation therapy may result in side effects that may begin and linger far after treatment has been completed. These can include heart problems, lung problems, thyroid problems, secondary cancers, and more, but it’s important to keep in mind that the benefits of these treatments usually far outweigh any risks. In addition, many people will not experience any of these late effects. Radiation therapy works by damaging DNA in cells. Unfortunately, this damage isn't isolated to cancer cells alone, and normal cells can be damaged as well. While radiation therapy has improved significantly such that less damage occurs to healthy cells than in the past, some healthy tissues are inevitably exposed. The following are some possible long-term side effects of radiation treatment but it's essential to point out that radiation therapy has improved in recent years; and a very long way since it was introduced to treat cancer in 1903. With more precise dosing and newer methods of delivery, older studies may overestimate the risks. At the same time, as people are living longer with cancer, the long-term effects of radiation will become increasingly important. It's estimated that 50 percent of people diagnosed with cancer will receive radiation therapy at some point in their journey. Not everyone will have long-term side effects after radiation treatment. Many people will only experience some redness of their skin and fatigue at the time of treatment. On the one hand, it's important to be aware of possible risks, such as heart disease, so you can be an empowered patient. Hypothyroidism is one of the more common late effects of radiation therapy when radiation treatment involves the neck, head, and chest. The newer immunotherapy drugs also increase the risk of hypothyroidism, so that those who have received both of these treatments should be extra aware of the possibility. Radiation fibrosis can be thought of simplistically as the loss of elasticity in tissues after radiation, due to permanent scarring. Many of the side effects below are caused by this fibrosis which can occur in nearly any region of the body. Lung fibrosis is a permanent scarring of the lungs which can result from untreated radiation pneumonitis. Radiation pneumonitis is an inflammation of the lungs which occurs one to six months after completing radiation therapy to the chest and happens in roughly a fourth of people treated with radiation for lung cancer. Since the symptoms can mimic symptoms due to cancer, or pneumonia, it's important to talk to your doctor about any new respiratory symptoms. Heart disease is a very important and not uncommon long-term side effect of radiation therapy. For example, in patients with Hodgkin’s disease who receive radiation therapy (not as common now), the leading cause of death is cardiovascular disease, not cancer. Those at risk include people who have radiation to the chest, including radiation following a mastectomy for left-sided breast cancer. Coronary artery disease: Coronary artery disease caused by atherosclerosis can be a side effect of radiation. Valvular heart disease: Radiation may result in damage to the heart valves. Pericardial conditions: Conditions s such as pericardial effusions (a build-up of fluid between the tissue layers lining the heart) and constrictive pericarditis may occur. Cardiomyopathy: Cardiomyopathy, a weakening of the heart muscle may occur, especially when combined with some chemotherapy drugs such as Adriamycin (doxorubicin). Symptoms of heart disease may not appear for years or decades following the completion of radiation treatment, so it's important to let your doctor know if you have any chest pain or other symptoms suggestive of heart disease. Thankfully, newer techniques such as respiratory gating (controlled breathing designed to minimize the exposure of the heart to radiation) are becoming available, which may lower the risk of this complication. We have learned from atomic bomb blasts that radiation can cause cancer, and the doses of radiation given for cancer treatments may also pose this risk. Blood-Related Cancers: Blood-related cancers such as acute myelogenous leukemia (AML), chronic myelogenous leukemia (CML), and acute lymphocytic leukemia (ALL) are a rare side effect of radiation therapy, most commonly in the past from radiation for Hodgkin's disease or breast cancer. The risk peaks at 5 to 9 years after radiation treatment has been completed. Radiation may also damage the bone marrow resulting in myelodysplastic syndromes, diseases of the bone marrow which can, in turn, develop into acute leukemia. Solid Tumors: Radiation therapy may also increase later risk of solid tumors, especially thyroid cancer and breast cancer. Unlike blood-related cancers, the risk is highest 10 to 15 years or more after treatment is finished. Radiation therapy, especially radiation to the brain, to the base of the skull, and to the neck may result in cognitive problems such as memory loss and difficulty concentrating. Radiation oncologists now frequently treat people with a medication (one ordinarily used for Alzeimers) during radiation therapy and this has been found to reduce cognitive problems later on. A number of different musculoskeletal concerns can arise years or decades after radiation. Osteoporosis/Fractures: Radiation may result in weakening of the bones, osteoporosis, and osteonecrosis. For example, radiation to the chest may result in the ribs becoming fractured more easily. Muscles/joints/nerves/ligaments: Radiation can affect the muscles and supporting structures of the musculoskeletal system resulting in restricted mobility, pain, and numbness. Soft tissue: Permanent darkening of the skin, telangiectasias (spidery red marks) and permanent hair loss may occur with radiation. Radiation may also result in lymphedema, swelling that occurs as the result of damage to the lymph channels, for example, the arm swelling seen in some women who have had breast cancer. Damage to the salivary glands and tear ducts from radiation to the head and neck region may result in permanent dry mouth or dry eyes. Radiation to the abdomen and pelvic regions may affect the bladder, the colon, and pelvic organs leading to impotence and infertility. There are a number of things you can do yourself in addition to precautions taken by your doctor to reduce your risk of long term complications related to radiation therapy. Don't smoke: Smoking increases the risk of lung cancer after chest radiation. Talk to your physician about any new respiratory symptoms that may suggest radiation pneumonitis. Ask about clinical trials designed to reduce the risk of late effects of radiation. If you will be having chest radiation, ask if respiratory gating is available. Ask your doctor about physical therapy if your movements are restricted. Physical therapy can't rid your body of permanent scarring but can often improve flexibility and mobility. 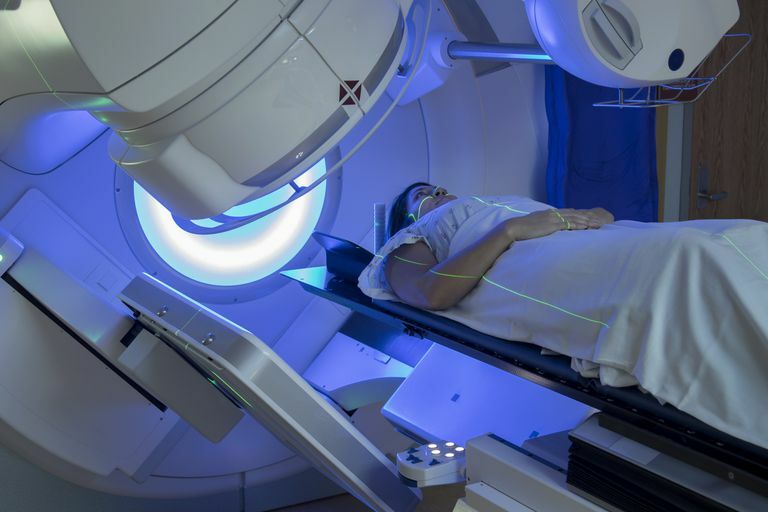 There is the potential for a number of long term side effects related to radiation therapy, but most of the time the benefits greatly exceed the risks. Clinical studies are in progress looking at methods to decrease the risk of late effects of radiation therapy, many with promising results. Filopei, J., and W. Frishman. Radiation-Induced Heart Disease. Cardiology in Review. 2012. 20(4):184-8. Krasin, M., Constine, L., Friedman, D., and L. Marks. Radiation-Related Treatment Effects Across the Age Spectrum: Differences and Similarities or What the Old and Young Can Learn From Each Other. Seminars in Radiation Oncology. 2010. 20(1):21-9. National Cancer Institute. Oral Complications of Chemotherapy and Head/Neck Radiation. Health Professional Version. Updated 01/04/16. Stubblefield, M. Radiation Fibrosis Syndrome: Neuromuscular and Musculoskeletal Complications in Cancer Survivors. PM & R. 2011. 3(11):1041-54.